Northwestern chemistry professors are involved in their own research and often invite students to participate. You’ll work together as peers and possibly get a mention when the prof publishes or presents research findings. Science students can also spend summers doing paid research at universities across the U.S. 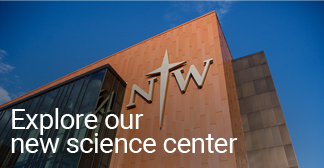 Your Northwestern professors will help you find and land fellowships in labs conducting research funded by the National Science Foundation and National Institutes of Health. Science students have joined university research teams studying environmental chemistry, photochemistry and theoretical chemistry.